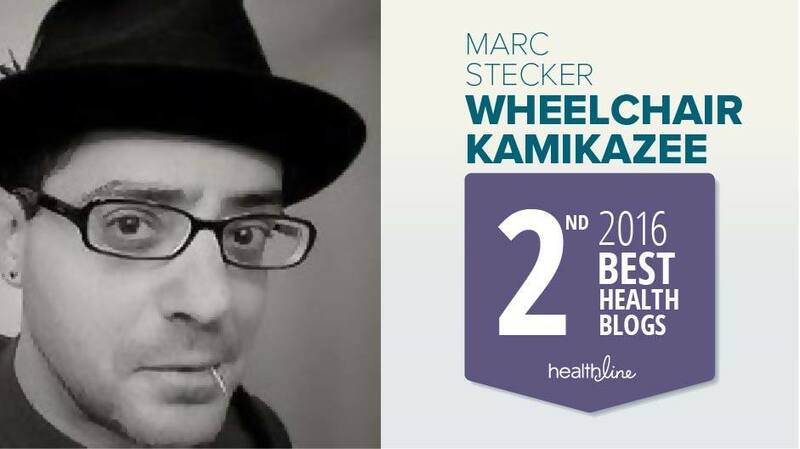 Wheelchair Kamikaze: Progressive MS: A Deep Mystery Beginning To Reveal Its Secrets? Progressive MS: A Deep Mystery Beginning To Reveal Its Secrets? The words "progressive multiple sclerosis" carry with them a sense of dread and panic for most MS patients. When I was newly diagnosed, I of course immediately hit the Internet, and discovered that there were four primary types of multiple sclerosis: Relapsing Remitting MS (RRMS), Secondary Progressive MS (SPMS), Primary Progressive MS (PPMS), and Progressive Relapsing MS (PRMS). It only took an hour or so of reading for me to realize that the progressive forms of the disease (SPMS, PPMS, and PRMS) were very scary indeed. Not that RRMS is any picnic, but patients with progressive MS have few if any treatment options, and generally suffer much more aggressive disease and a quicker rate of disability. My mind immediately rejected the notion that I might have one of these forms of MS, but as time played out and the course of my disease became clear, I was given the diagnosis I had come to suspect but refused to accept: PPMS. Now, after eight years, that diagnosis itself has come into question (click here), but still, the clinical course my disease most resembles is PPMS. A spin around the Internet MS forums quickly reveals that there is much confusion about progressive MS among much of the MS population, especially the newly diagnosed. It's extremely important for patients to understand the differences between the MS subtypes, as treatment and symptom management options vary widely, and informed decisions can only be made if a patient has a good grasp on just what they're dealing with. There are several good sites that explain the differences between the MS subtypes (click here for one), so I won't go into an in-depth discussion of their differences here. In a nutshell, RRMS (which represents about 85% of the MS population) is marked by the disease course that features distinct relapses and remissions. During a relapse, an RRMS patient experiences an acute worsening of symptoms, often to a very debilitating degree. This is followed by a period of remission, when the patient reverts more or less back to normal, sometimes suffering from residual effects that remain from their previous relapses. After a period of years, a majority of RRMS patients transition to SPMS (click here for more info), when they stop experiencing relapses and remissions and instead start suffering from a steady increase in disability, with none of the distinct "ups and downs" of RRMS. In addition to a lack of relapses and remissions, SPMS patients also experience a severe reduction in the amount of inflammation seen in their central nervous systems, despite the ongoing nature of their disease. PPMS patients (about 10% of the MS population) never experience periods of relapses and remissions, but instead suffer a steady decline in functionality from the onset of their disease. PPMS is distinct in many ways from the other forms of MS, so much so that some doctors and researchers think that it may in fact be a completely different disease. Unlike RRMS, PPMS attacks men and women in equal numbers. MRIs reveal that PPMS patients generally have less lesions than RRMS patients but usually exhibit more spinal lesions, and even though their lesion load is less, quite often their disease is much more aggressive and debilitating. Additionally, spinal fluid analysis is usually less definitive for PPMS patients, as they sometimes don't exhibit the telltale O-bands seen in about 95% of RRMS patients. Additionally, PPMS patients don't exhibit the widespread central nervous system inflammation that is one of the hallmarks of RRMS. PRMS (about 5% of the MS population) is the rarest common form of MS, and patients afflicted with it experience a steady decline punctuated by acute exacerbations, which are not followed by remissions. This is generally the most aggressive form of the disease. In my 8+ years of haunting various MS Internet forums, I've seen many patients confused about the differences between SPMS and PPMS, often wondering which variant of the disease they are suffering from. The difference is actually quite clear; if a patient has ever experienced a period of relapses and remissions, then they by definition cannot have PPMS. Anybody who has previously received a definite diagnosis of RRMS, and has experienced exacerbations followed by periods of relief, but now finds that they are now facing a decrease in relapses but a steady increase in symptoms, is likely transitioning to SPMS. Almost all of the approved MS drug therapies are meant for RRMS patients and are effective to varying degrees in reducing the amount of relapses suffered by the patients taking them, benefits which are accomplished by modulating or suppressing the systemic immune system. At the present time, there is only one drug approved for SPMS patients, the chemotherapy agent Novantrone, and there are no proven effective treatments for PPMS. Often, MS Neuros will try some of the approved therapies on their progressive patients (usually their SPMS patients), in the hopes of positively impacting the disease, but these attempts generally prove to be unsuccessful. Because of the aggressive nature of progressive multiple sclerosis, and the extreme difficulties in treating it, progressive MS remains a frightening proposition for patients and a confounding problem for the physicians trying to treat them. Often, treatment is limited to symptom management because none of the approved MS treatments, most of which work in one way or another to reduce inflammation in the central nervous system, have any positive effect on progressive MS patients who typically exhibit little or no CNS inflammation. 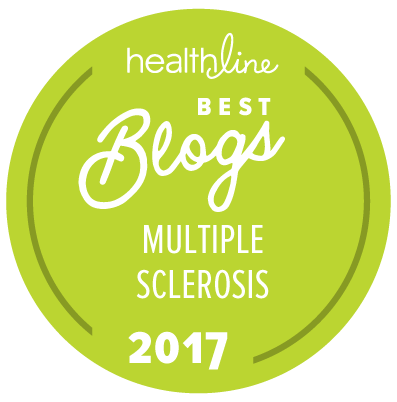 One of the prevailing mysteries of MS is why, in the face of this lack of inflammation, the disease continues to progress without hesitation. Research conducted over the past few years has started to shed light on some of the mechanisms at play in progressive MS. It appears that, at least in some of progressive MS patients (and especially in SPMS patients), a kind of rogue immune system develops within the patients’ central nervous system, which operates independently from the greater systemic immune system (click here, here, and here). This "immune system within an immune system" is comprised of lymphatic tissue (the kind that produces immune system cells) which develops within the CNS, safe behind the blood brain barrier. These lymphatic tissues produce immune cells (primarily B cells), which it is believed drive the continuing disease process seen in progressive MS. Because this process occurs behind the blood brain barrier, which functions to sequester the CNS from toxins and pathogens that might attack the rest of the body, it is protected from the drugs effective in treating RRMS, which work by down regulating the systemic immune system but have no effect within the central nervous system itself. This explains why drugs like Tysabri, which despite its known potential problems is very effective in treating RRMS (click here), have little or no efficacy in treating the progressive forms of the disease. The drugs simply have no access to the self-contained immune process that appears to be taking place within the central nervous system in some progressive MS patients. The implications of these discoveries are tremendous. They suggest that therapies delivered directly into the central nervous system may be effective in treating progressive MS, and indeed, one study has demonstrated that intrathecal (spinal) injections of methotrexate do seem to be effective in treating progressive MS (click here [full disclosure, this study was conducted by my neuro, Dr. Saud Sadiq]). The NIH is currently conducting a study testing the effectiveness of intrathecal Rituxan in SPMS patients (click here). This also illustrates the importance of research done very recently that has demonstrated a possible method for temporarily opening up the blood brain barrier, allowing for delivery of drugs into the CNS (click here). Furthermore, the development of immune cell producing tissues within the central nervous system means that addressing many of the suspected MS triggers (viruses, toxins, possibly CCSVI) would have little or no effect on the disease once this rogue immune system is in place. Indeed, we do have anecdotal reports that CCSVI treatment appears to be less effective in patients suffering from the progressive forms of multiple sclerosis, and none of the approved RRMS drug therapies has been shown to be of any benefit for progressive patients. It took me quite some time to grasp the implications of this "rogue immune system" theory, but I've developed the following analogy that I think illustrates the problem fairly well. Imagine a lit match being held to a sheet of paper. The lit match represents whatever it is that triggers MS and the early RRMS stage of the disease, and the sheet of paper represents progressive MS. Once the match touches the paper and ignites it, extinguishing that match will have no effect whatsoever on the burning sheet of paper. Likewise, once a compartmentalized immune system develops within the CNS (the burning sheet of paper), extinguishing the conditions which allowed for it to develop (the lit match) will be ineffective in curtailing the disease. Indeed, this is exactly what we do see with current accepted MS treatment modalities, and, anecdotally at least, in the treatment of CCSVI. Therefore, the possibility exists that there is a window of opportunity before these lymphatic tissues develop and the disease goes progressive during which the treatment of MS has its best chance of curtailing the advance of the disease. Clearly, research priorities must be shifted to definitively identifying the underlying causes that initiate the aberrant immune response seen in MS, rather than simply finding new and more profitable ways of suppressing the immune system, many of which are of questionable effectiveness in stopping RRMS from transitioning to progressive disease (click here). Plainly, there are processes driving the disease even in its earliest stages that are not directly related to the systemic immune system. We must also learn if progressive disease is in fact driven in large part by a self perpetuating immune reaction developing within the CNS, and if so identify which progressive patients are suffering from this development, and of course also find safe and effective methods to fight it. Science is finally beginning to tease apart the intricate puzzle of multiple sclerosis, but vigorous and innovative research is urgently required, as is a shift away from much of the current thinking about the disease, which has proven hugely profitable to Big Pharma, but of little value when it comes to eradicating MS. Real hope is on the horizon, but new maps must be drawn to finally deliver MS patients to the promised land. Very interesting and wonderfully written. I will certainly revisit this one again and again. 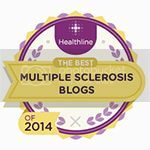 This post is a perfect example of why your's is so deserving of the title of "Best Patient's Blog". Illuminative. I have had this illness a very long time, and this is the best explanation of the MS variants I have come across. Interesting. I looked at the SPMS page for signs of progression, and I have all of them save one. My reduction in flares since I've been on Tysabri still seems to be holding true, even if my symptoms continue to multiply. My comment was on the efficaciousness of Tysabri for patients with SPMS. I definitely feel worse at the tail ends of my 28 day cycle, and I generally feel best 2 days after the infusion. This made me go look on patients like me, and there are studies for the effects of Tysabri for SPMS. If it is a placebo effect, I'm okay with it (until I know and it fails). I've generally not asked my neuro if I have progressed from RRMS because it would mean a tougher fight with insurance to cover a drug not approved for SPMS. Since no better options seem to be available yet for SPMS, and tysabri seems to let me keep going, I've thus far gone with the "don't ask the question for which you don't want an answer" approach when it comes to defining my MS as RRMS or SPMS. Instead, I'll just live with the"moderately aggressive" RRMS description written up by my neuro. Hmmmm...I have to think about this. Excellent information, clear and cleanly written. Much appreciated. How about looking into and writing something equally as understandable about the theories of MS related to nutrition! When I went to Mayo Clinic, they said I had transitioned to SPMS, since I've been on Tysabri for two years and have experienced a worsening of my disability. My hometown neuro will not confirm the SPMS diagnosis because that would limit my treatment options. So, I continue to have poison infused in me monthly... I'm really getting tired of this. Thank you for highlighting the progressive form of the disease in your blog. I think people tend to shy away from it because of all of the uncertainty that goes with it. I'll be following the studies you mentioned closely. Wow. That was explained so well. I learned something new today. Thank you. Not only are you my favorite blog, but also the one I trust most. Thank you for this article. What a blessing you are. 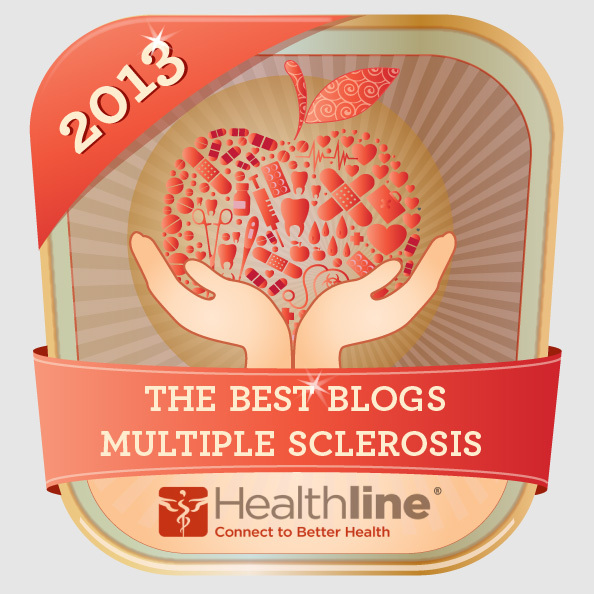 I have Progressive-relapsing MS. Pain without ceasing can cause a girl to rethink existence altogether some days. But to read again that I am not alone and we are being remembered in studies pulls the mind back to it's place. Hope is everything. It never disappoints. Thank you once again. I was diag in 2/2001 w/rrms. oh BTW, I am now a 58 yr old female. I never had exarbations/relaspes, right from the gitgo. I have been on avonex, rebif, sodumethol, tysarbi, novantrone, copaxone all in that order & I am now considered SPMS. i NEVER FOLOWED THE "NORM". I use a scooter 24/7 now, have NO use of my entire left side with my right quickly mimicking my left. My DR wants to now see me every 2 months & go on galenya. I still don't know what shoe i fit into. My brain mri actually showed improvement, my spine a little worse from the last MRI. I am so tired of this. On the other hand, i look forward to each & every one of your posts..they are always informative & unbiased. I have been diagnosed with SPMS, though my period of RRMS was very short (if it existed at all). Almost 18 months ago I was "liberated", which brought me relief from the symptoms of fatigue, balance problems and bladder problems. My mobility seemed to improve, but that may have been primarily due to improved balance. My dexterity, footdrop and left-side weakness problems have continued and, most recently, may have gotten slightly worse. This seems to be consistent with the results from other progressives after liberation: those with energy, balance and bladder problems often see an improvement, while those who do not have those problems do not see any positive outcomes. Great post as usual. Just wanted to say that in addition to Novantrone, Betaseron is approved for SPMS. Don't know of it's effectiveness, but know it is on the approved list for SPMS. Ted-your story sounds typical of other "progressives" I've heard who have undergone CCSVI treatment. It seems that there are a subset of symptoms that clearly are most affected by CCSVI, fatigue, cognitive issues, and the bladder and bowel issues most often cited. Motor issues are very likely the result of damage to nerve tissues, which unfortunately do not regenerate. Hoping that stem cell therapy, in conjunction with treatments like CCSVI, will be a combination that may prove to be of great benefit. it seems that you're very right with your conclusions about therapy: My neurologist told me the same assumption. That's why I'm getting intrathecal (spinal) injections of Triamcinolone acetone (40mg of synthetic corticosteroid) (Wikipedia) every 4 weeks since 2008. My MS is more or less stagnating since then. I wrote (in German) about this therapy here (Google Translating) and there (see comments) (Google translation). This therapy is widely unknown, because it's too cheap to be interesting (around 50$ every time) and study design would be difficult. Achim-thanks for that info. For folks who don't know, Achim is referring to intrathecal (spinal) injections of a long-acting steroid. This treatment is sometimes used in Europe, and has been shown to be effective in some clinical trials. i mostly agree to your conclusion. i'm so sorry to know that even in a group of two million "ms" there is not enough power to conduct an addapted attitude toward us (we are not in a position to conduct a fight). maybe we need to add other categorize of illness (als, parkinson and similar brain problems). do you happen to know a way of changing this "map"? i'm very into changing this ill conception. i'm considering entering life again, need a support group, have you heard what happened here yesterday? Your video across NYNY is great ! I could notice there are nice things to see out there. 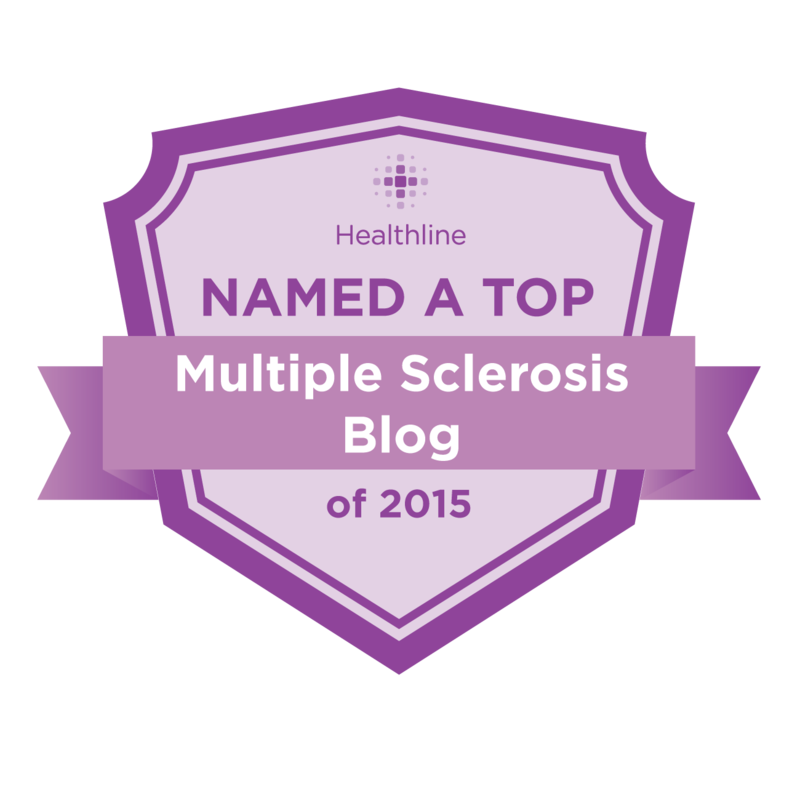 I've had MS since 1993 and went through all kind of treatments. Last mach, we went to Poland with my wife. I went to AMEDS Centrum. There, I had exploration by Doppler and MRI. The day after, I was operated. The surgeon did inflate a balloon in my both jugular veins. In fact, I had these 2 veins blocked, especially the left one. This is called CCSVI. The day after the operation, I was already feeling much better, I had the feeling my feet were touching the floor. Since that, my condition has been improving every day. I recovered the power and awareness I had lost for years (I had a sqtrong relapse in 2008). The result of the treatment of CCSVI is really great ! I only can tell you to do it, it is a real liberation ! Iknow the problem is the cost of this. About corticoïds, I've had them for 17 years now. The good treatment is 1 gramm (1000 mg) every 4 weeks, by intraveinous. It was found in the early 70's in Paris (France) and it makes life much more easy. It is almost not prescibed by neuro because it does't cost much and prevents from taking very expensive medicines that bring good money to laboratories. What is your knowledge about these treatments for MS ? It makes me sad to know you are in a wheelchair, even if you make fun of it ! Good luck to you and your wife !!! Great info! I too, am not absolutely certain of what type of MS I actually have, at nine years into this whole thing. I need to digest this posting, perhaps even stoop to printing it out hard copy, Thank you, Marc! You wrote that in a way people can understand it, I was diagnosed March 5, after a whirlwind of doctors, MRI's and spinal taps, oh and blood work. So i had almost every symptom a person with MS would have optic neuritis, almost lost my vision in my right eye. So after 5 days of steroids, i felt like a super hero, except my legs from knees down were still numb, and i had pain and numbness in my toes and feet, my vison returned almost to normal. I was diagnosed with detrusor sphincter dyssynergia and now have to cath myself 2 to 3 times daily. My numbness has now moved to mid thigh on both legs and i have extreme weakness in my right hand and numbness in 2 fingers on both hands. My dr. is being very quiet when i ask him why am i getting worse. I started Capoxone a month ago, and my MRI showed spinal lesions but no brain ones, so now they are repeating all of my MRI's in a T3 machine because my dr. states he wants to find more lesions, i had a positive spinal tap. I am not sure why he is out looking for more lesions and why this matters. Is there something i am missing? Oh also i have had chronic tachycardia since this all started in mid Jan. I am just trying to stay positive but it is very hard when i keep getting more bad news instead of anything positive.. Any thoughts or advice would be appreciated. Love your site!!! So sorry to hear about your recent diagnosis. As you seem to be quickly learning, MS is still quite a mysterious disease. I suspect your Dr. is looking for more lesions to get a better understanding of the nature of your illness, in order to figure out whether it's progressive or relapsing remitting. In reality, only time will tell, and the difference will impact your treatment options. As for your tachycardia, MS often effects the autonomic nervous system, which controls heartbeat. Many patients report lower body temperature (after I got sick, my new normal body temperature is about 97.3°F) and some get low blood pressure. Unfortunately, it's part of the disease. My best advice to you would be to educate yourself as much as possible, so that you can effectively advocate for yourself. Make sure your relationship with your Dr. is a more a partnership than a dictatorship, I being a very well-informed patient. 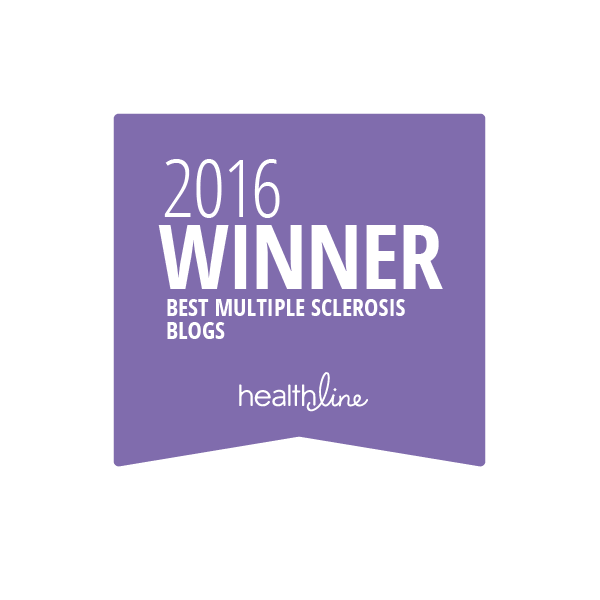 There are tons of resources on the Internet to help you get info on the disease, and also find support from other MS patients. If you look on the left sidebar of this blog, you'll see a list of posts, near the bottom of which are some posts called "MS on the Internet". Those will provide links to some support groups and sites where you can find reliable MS info. 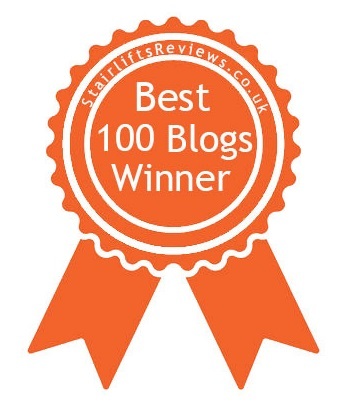 Best of luck to you, and thanks for commenting on my blog. Hang in there, the first few months of diagnosis can be very confusing, but things do eventually start to seem clearer. I see my wife dying a little more every day because of what now looks like PPMS , neuros dont know what to do anymore.It is killing me too. I was diagnosed in 2005. Since my last flareup. in 2008, my symptoms are constant. I am being treated for PRMS. Takins Gylenia seems to be helping, because my last MRI showed no new lesions. Walking difficulty, cognitive issues, general weakness, fatigue and other stuff always present. Thank you again for helping out others like us, and to all, stay sharp and keep fighting. Remember there is always worse. Hello, I have just been diagnosed with PRMS about 6 months ago. I started Gilenya about 21 days ago and can not find anyone with PRMS and taking Gilenya until I read your post. Any change in your daily aches and pains? Disabilities? I have Bilateral INO and it is driving me crazy and hoping this drug makes a change as it has been more than a year. Hope all is well with you and Gilenya is helping you. The lesions are I the gray matter also which are not usually visible on an MRI. I'm SPMS and one doesn't have to have MRI's and go to the doctor all the time. It's all nervey related things, just ride it out. I'm taking LDN, Microdose therapy, Armour Throid + phenobarbital for. MS seizures. All those Neuros are bone heads and what they say I don't care. They are in the profession which is a joke now FOR THE $.